A derelict building is on the trail of a new lease of life as part of plans to enhance a north-east town centre. The former John Trail bookshop on Mid Street, Fraserburgh has lain empty since fire gutted the property a decade ago. In 2015, it was placed on the buildings at risk register and the prominent town centre location looked to have a bleak future. However, an Aberdeenshire-based regeneration body is now hoping to bring it back into use as a hotel as part of the £550,000 revamp as part of the Fraserburgh 2021 Regeneration Scheme. The North East Scotland Preservation Trust (NESPT) is attempting to strike a deal so they can take on ownership of the store. The trust is keen for a specialist architect to take on the project with the indicative cost of repairs on the unlisted building estimated at £1 million. The search is also under way for an operator to potentially take on the running of the hotel. Paul Higson, project manager at NESPT, said a funding grant is available, but they need to secure a company to manage the lodgings before the builders can move in. 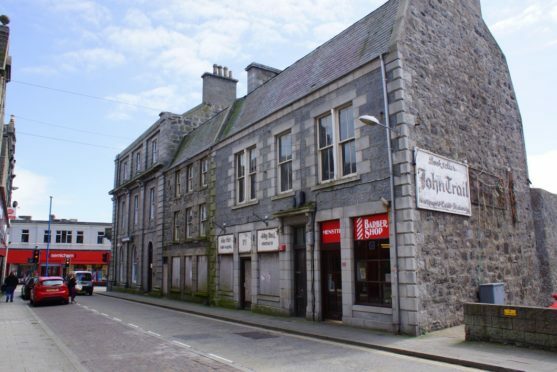 He added: “Funding is available from the Fraserburgh Heritage Regeneration 2021 Project to enable us to restore the building and convert it into a 10-12 bedroom hotel. “However, before the project can proceed, an experienced operator needs to be identified and signed up as the tenant of the completed development. It is hoped a planning application can be made in the summer with the building work potentially completed in June 2021. A council inspection, which was carried out in 2015, discovered that the inside of the building was still fire-damaged and there was extensive vegetation growth. It is understood the local authority currently own the former bookshop. A barber shop which operates out of one of the units at Mid Street is not part of the proposed redevelopment.